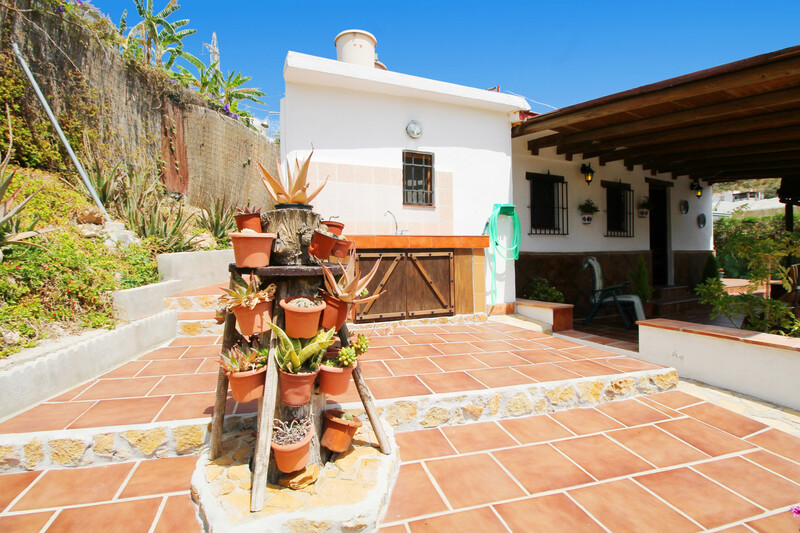 This lovely, traditional and spacious 2 bedroom villa near Nerja has one double bedroom, one twin bedroom and one bathroom with capacity for 4 guests. 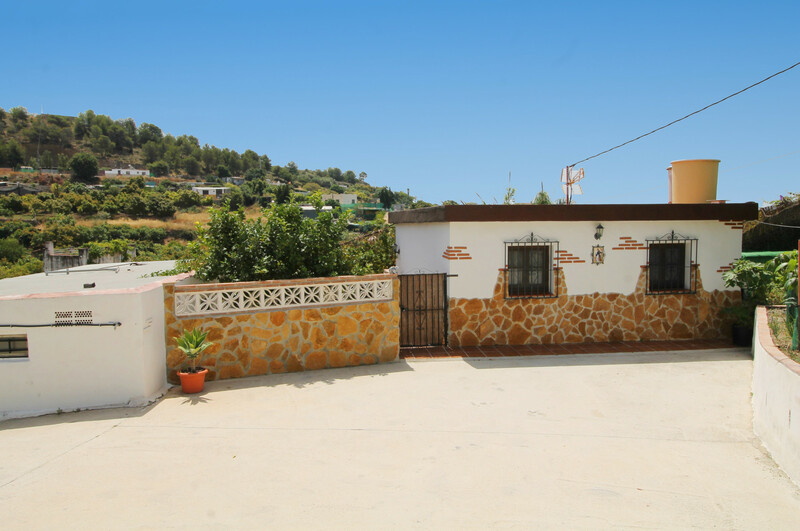 Cortijo Inma is an attractive "typical Spanish Cortijo" or country-house with a private pool, set in a quiet, rural location with a lovely garden and wonderful, panoramic views of the surrounding countryside and the mountains in the distance. Outside: Private swimming pool with secure access for children, patio furniture, large fenced garden area and terrace, barbecue, private parking area. Brand new electric gate with remote control. 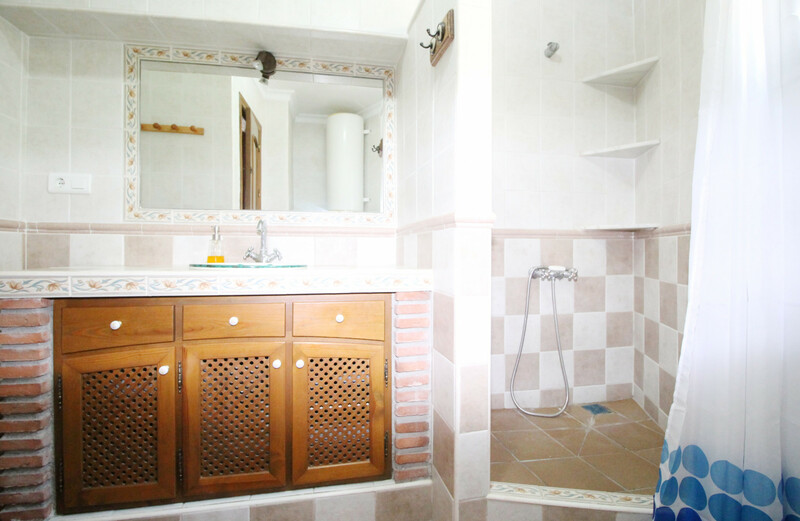 Inside: Air conditioning (hot/cold) in the 2 bedrooms, Internet (Wi-Fi), fireplace, hair dryer, TV (Spanish), stereo, DVD player. A cot and high chair can be rented locally for a small extra charge. The kitchen has been fully refurbished in 2019 with facilities including refrigerator, microwave, oven, freezer, dishwasher, washing machine, dishes/cutlery, kitchen utensils, coffee machine, toaster, kettle and juicer. Cortijo Inma is located 72 km from Malaga airport, 108 km from Granada airport, 1.2 km from nearest bus stop, 3 km from Nerja bus station, 4.2 km from beautiful Burriana beach and restaurants, 2.7 km from Mas supermarket, 7 km from the pretty hillside village of Frigiliana with a great choice of bars and restaurants, 3 km from the famous Balcon de Europa in Nerja, 8 km from the famous Nerja Caves, 25 km from Aquavelis water park, 28 km from Baviera Golf course, 80 km from Tivoli world amusement park/theme park in Benalmadena, 98 km from the world famous Alhambra Palace in Granada. 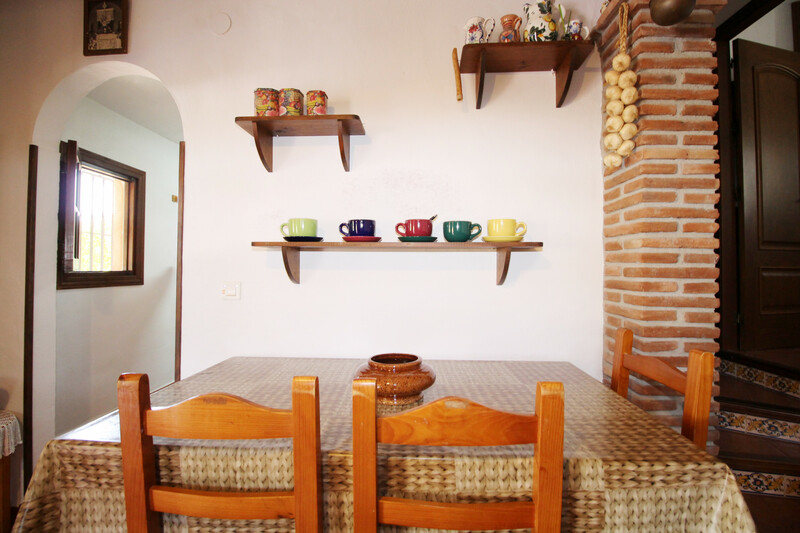 The villa is situated in an elevated, rural setting and is a popular choice for families with children and couples seeking peace and tranquility. A car is definitely recommended for visitors to this villa for getting around. 1 TV, DVD, garden, garden furniture, fenced garden, 10 m² terrace, barbecue, fireplace, internet (Wi-Fi), hair dryer, 60 m² property, electric heating, air conditioning in all bedrooms, private swimming pool (dimensions 5 m x 3 m, max depth 4.9 ft, min depth 5.6 ft, opening date 1/1, closing date 31/12), Open-air parking (3 places) in the same building. Thank you for staying with us, you are really lovely family and will be always be welcome again. 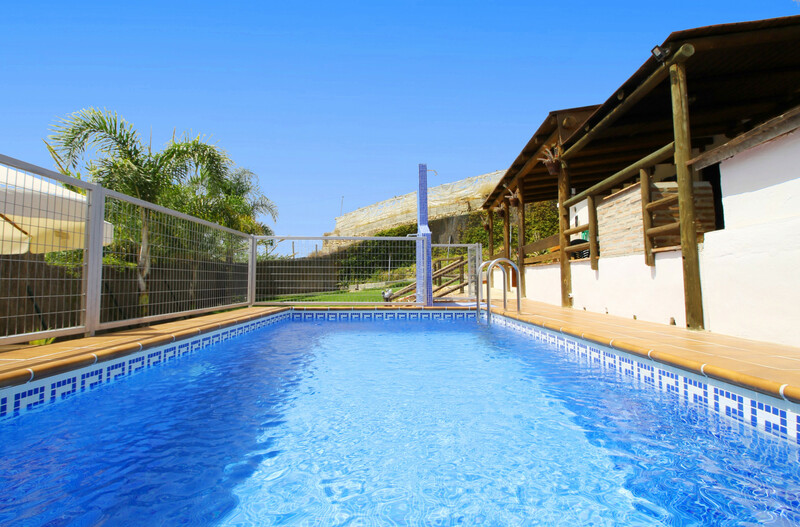 Hemos pasado unos días muy agradables en casa Cecilio, la casa es cómoda con absolutamente todo lo necesario para una estancia estupenda, sus exteriores maravillosos, los hemos disfrutado muchísimo, la parrilla, piscina, porche estupendos lo único es el camino de acceso, pero la verdad cuando te haces a él no importa , Cecilio y su mujer encantadores, muy amables y atentos , gracias por todo un placer a veros conocido. Superbes vacances! - Amazing Holidays! 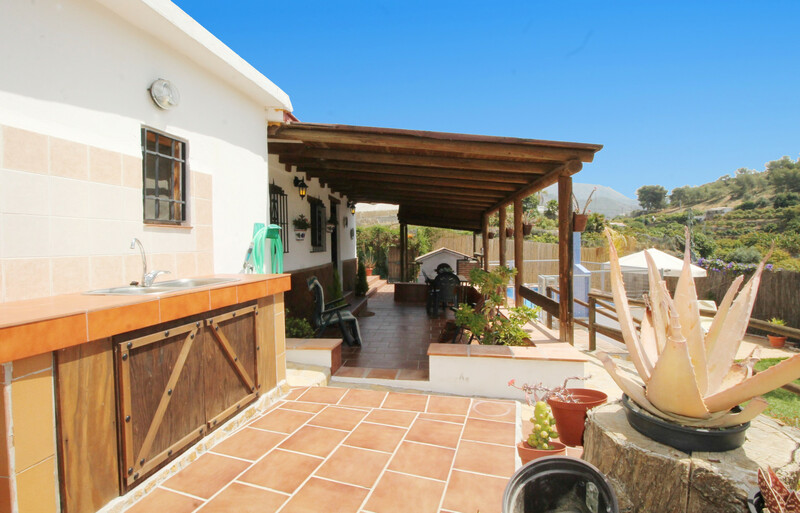 Très très belle maison dans les hauteurs de Nerja. Elle est très fonctionnelle et très bien entretenue. Les propriétaires sont vraiment sympathiques. Location idéale pour une famille de 4 personnes comme la nôtre avec 2 enfants de 4 et 7 ans. La piscine a été clôturée et est donc sécurisée ce qui est assez rare en Espagne. Le seul petit bémol mais vraiment pas très grave est l'accès un peu compliqué en voiture (rue pentue ne pouvant laisser passer qu'une voiture) où il ne vaut mieux pas se perdre . Par contre ce côté sauvage permet une grande tranquillité sans vis à vis direct. Une vue extraordinaire sur une petite écurie avec un cheval que l'on voit galoper de temps en temps. Les plages de Nerja de Maro et de Torrox sont très belles même s'il est très compliqué de se garer dans Nerja en haute saison. Bref une très belle semaine de vacances. ================================================= Very beautiful house in the heights of Nerja. 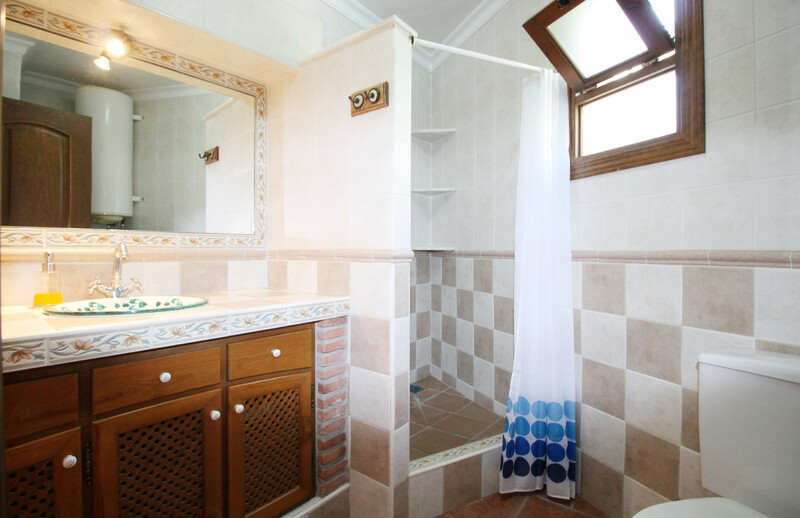 It is very functional and very well maintained. The owners are really friendly. Ideal rental for a family of 4 people like ours with 2 children of 4 and 7 years. The pool has been fenced and is therefore secure which is quite rare in Spain. The only downside but really not very serious is the access a bit complicated by car (steep street can only pass a car) where it is better not to get lost. By cons against this wild side allows a great tranquility without direct opposite. An extraordinary view of a small stable with a horse that we see galloping from time to time. The beaches of Nerja de Maro and Torrox are very beautiful although it is very difficult to park in Nerja in high season. In short, a very beautiful week of vacation.